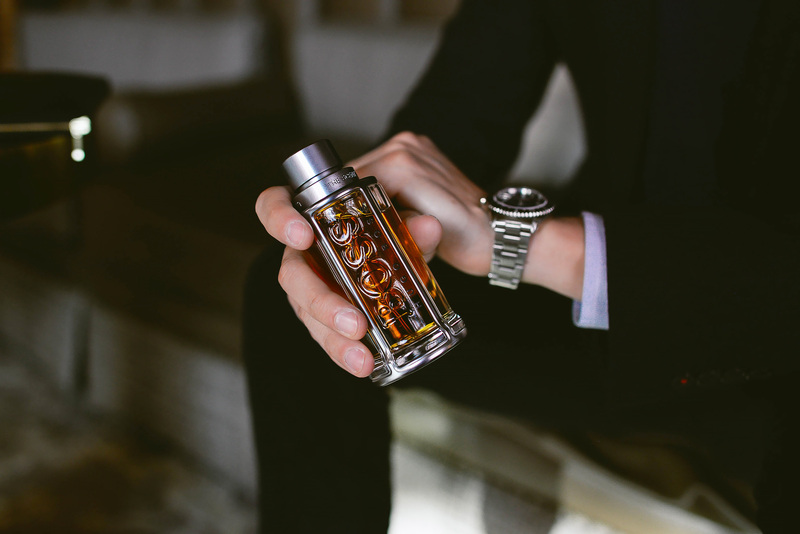 This season, I’ve partnered with BOSS THE SCENT to experience their newest fragrance. I had the opportunity to attend an event where I was able to discover the essential notes and ingredients that make up BOSS THE SCENT. From the apparent spicy ginger notes to the subtle hints of burnished leather, BOSS THE SCENT is seductive inside and out. I even learned of a new fruit, the Maninka fruit, evocative of passion fruit and rum (the fragrance team discovered it during an excursion to South Africa). To me, this is the secret ingredient in this seductive scent! These notes represent the four qualities behind a man: confidence, style & elegance, strength, and personal magnetism! I love that HUGO BOSS is all about a more calculated approach to seduction – it’s not quick and reactive, but rather invades the mind to leave an enduring mark. I paired BOSS THE SCENT with a more masculine feeling OOTD because it maintains a smart and simple tailored look that perfectly balances the lively scent. 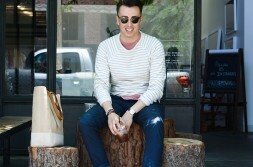 To achieve this look I paired a blazer, Hugo Boss crewneck sweater, blue shirt, and denim. I wore THE SCENT as a seductive tool to reveal a different aspect of my personal style, which tends to lean towards a simplified business casual approach, evoking confidence and nonchalance without saying a word. Going from an office setting to a holiday party, BOSS THE SCENT reveals a self-assured charisma, lends a seductive charm and will make an unforgettable impression throughout the holiday season and into the New Year.